5 Bedroom Semi Detached House For Sale in Liverpool for Offers Over £325,000. Entwistle Green are delighted to offer for sale this beautifully presented five bedroom mews style home. 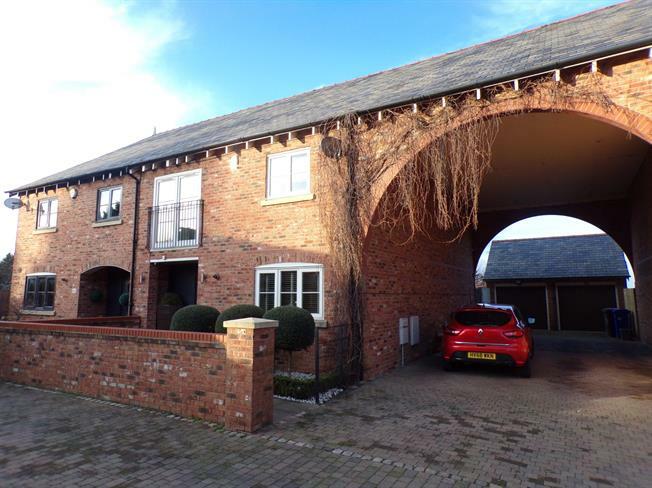 Located in the prestigious and historical village of Hale in L24 region. The area is highly sought after due to the excellent local schools, frequent public transport links and several local shops, cafes and pubs. The location is ideal for families, particularly those who enjoy a little bit of country living but still remaining nearby to the City Centre. The current owner has presented the property to an excellent standard and briefly comprises of an entrance hall, kitchen, dining room and a large living room. To the first floor, there are three bedrooms, on with an ensuite and a dressing room. There is also a family bathroom. To the second floor, there is a large master bedroom, with an ensuite and a dressing room. Externally, there is a double garage and a large, private garden to the rear of the property.